Adult diapers are very important for those who suffer from incontinence. Abena adult diapers are affordable, efficient, and protective. One of the most important components of an adult disposable diaper is its elastic factor. The elasticity of an adult disposable diaper, manufactured by Abena, helps its wearer enjoy a normal life. This article will explore the important features that come with the purchase of an Abena adult diaper. Abena adult diapers are excellent in the fact that they set the standard for the industry of adult diapers. 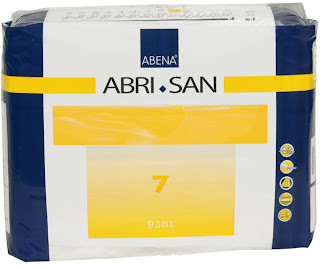 Abena diapers are wonderful in the fact that they create a very high quality product and they are willing to stand behind their product through the numerous guarantees that they offer. Abena adult diapers are very absorbent in their construction. They fit to the wearer and absorb materials very quickly and efficiently. Abena adult diapers have many purchasing options available. The best and most convenient diaper packages sold by Abena come in packages of 32. This is a great purchasing option because it allows the purchaser to have an affordable and viable option when they purchase their adult diapers. Adult diapers come in a wide variety and sizes from Abena. Abena is very thoughtful in the needs and products that they offer their customers. Adult diapers are affordable. They offer free product samples that will help you ascertain the product that is the best fit for you. When you purchase an order from Abena adult diapers, you have the option of choosing the best product that fits your needs. Abena has a reputation with one of their designs that has been on the market for years. They sell a lot of their Abri-Form designs that are renowned with their customers. Abena sells most of their Abri-Form designs in bulk packaging situations. Abena and their Abri-form diapers are the finest adult diapers in the world. They come in five different sizes and come in several different levels of absorbency. All varieties have leak guards, have refastenable tapes, and come with a highly elastic waistband to make the most comfort. They feature incredible absorbency ability. The typical diaper by Abena is five times as absorbent as those that you purchase in the store. The typical, traditional diapers are available from Abena, as well as their breathable AirPlus briefs. Abena makes the finest disposable diapers on the market. They allow your loved ones to maintain the dignity that are granted to them when they want to resume and live their normal lives to the fullest extent. These diapers are affordable and come in a wide variety of sizes. These diapers will help your loved one control the bodily functions that their medical condition can cause them difficulty. Adult disposable diapers have a certain amount of difficulty associated with wearing them. Adult disposable diapers, while convenient, often take some time to get comfortable with. They also need to be changed regularly. Adult disposable diapers are useful and can be purchased in bulk from a home healthcare supply specialist. Hospitals and clinics can purchase a wide variety of diapers from healthcare suppliers. They come in larger boxes and carry a certain amount of affordability. Health insurers also cover the cost of adult disposable diapers manufactured by Abena. Healthcare has been revolutionized by the innovation of Abena adult disposable diapers. Buying your adult diapers online can save you money but it also allows you to have the products shipped discretely to your home. This can reduce your embarrassment in the grocery store line if you do not want others knowing that you are buying products to manage your problem with incontinence.